Beginning in the year 2005, I, April Slaughter, along with several other investigators conducted an ongoing and rather in-depth investigation of The Historic Lehi Hospital in Lehi, Utah. This building, and the phenomena I encountered within it became so dear to me that I miss it more than I can express. This is where I learned to be an investigator. This is what truly made me a believer. 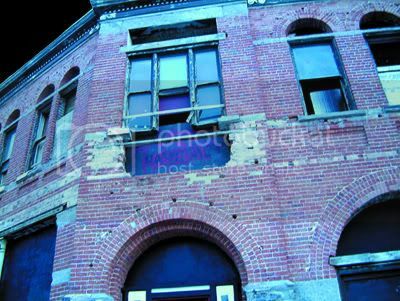 My mentors Chris & Nancy Peterson, along with Brian Whitesides of the now defunct Utah Ghost Hunter’s Society took on the task of investigating this building. As I lived closest to this location at the time, I was allowed entry rather frequently and took many other aspiring investigators inside to experience the hospital for themselves. I was blessed to work with my investigative partner James Boley with our team UTAH’S UNEXPLAINED at this location as well. While I had plenty of people working with me from time to time, it was not rare for me to enter the building alone and spend hours upon hours experiencing things I will not soon forget. 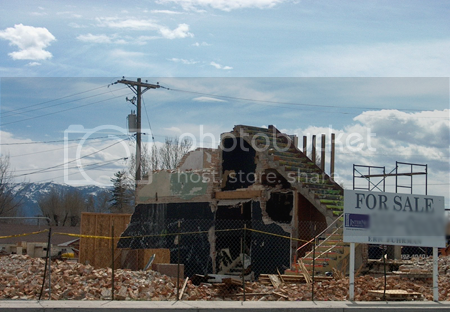 This building served as a bank and business offices before becoming the Lehi Hospital, and also housed a basement crematory. Nearly 4,000 deaths are thought to have occurred within its walls. Local lore suggests a nurse was hung from the flagpole that used to sit atop the building, but no documentation could be found to verify this event, and therefore was never part of any presentation of known occurrences on the property. The hospital is currently privately owned, and has in the recent years been used as a haunted house attraction during the month of October. 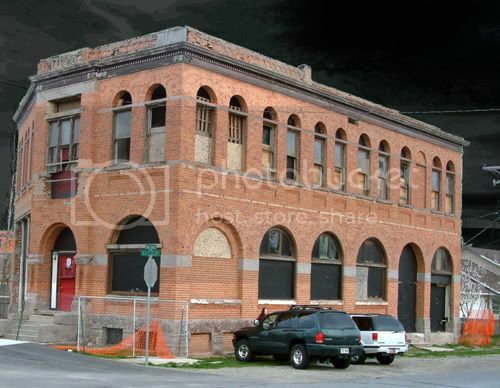 My sister and I first approached this building one evening hoping to gain permission to investigate. The crew of the haunted house was rehearsing, and the owner was not available to ask. However, the kids were intrigued with what we were doing and why we were there, and spewed story after story of what they had experienced while working in the building. We stepped just inside to the lobby area of the hospital and I turned on my audio recorder. It is worth nothing that at the time I used only analog, and retrieved the files by copying the audio to my PC. A brand new tape was used every time (nothing was ever re-used). Just about 5 minutes after we entered the building, the front door opened and the owner asked us to leave. I was able to get in contact with him later that evening to explain we were not there to trespass or steal haunted house secrets, as he had originally assumed. The first EVP we caught in this building was this one… captured just seconds before the owner came in and asked us to leave. 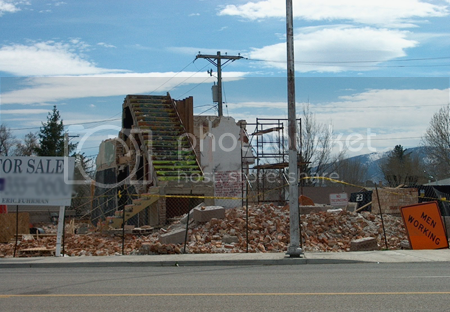 The historic Lehi Hospital has been condemned by Lehi City officials and is slated for demolition. While I am deeply saddened by this, I am also immensely grateful for the countless hours, days, and months I spent in the building documenting paranormal activity. It will always hold a very special place in my heart. As a tribute to the building and the spirits I got to know so well within it, I would like to share an article I wrote for TAPS Paramagazine, published in their First Anniversary issue. It was my very first paranormal article published. You are currently browsing the Paranormal Source - Paranormal Research & Development Team blog archives for April, 2009.